Magnetic radiation from giant solar storms caused the sudden and nearly instantaneous detonation of dozens of sea mines in Vietnam in the 1970s, research has confirmed. At the time of the mysterious explosions, the US Navy attributed to the event to “magnetic perturbations of solar storms” – an attribution which scientists from the University of Colorado have confirmed. In their paper, published in the journal Space Weather, the team established that the mine detonations – alongside widespread electric and communication-grid disturbances seen in North America, were due to an enormous solar flare which burst towards Earth. 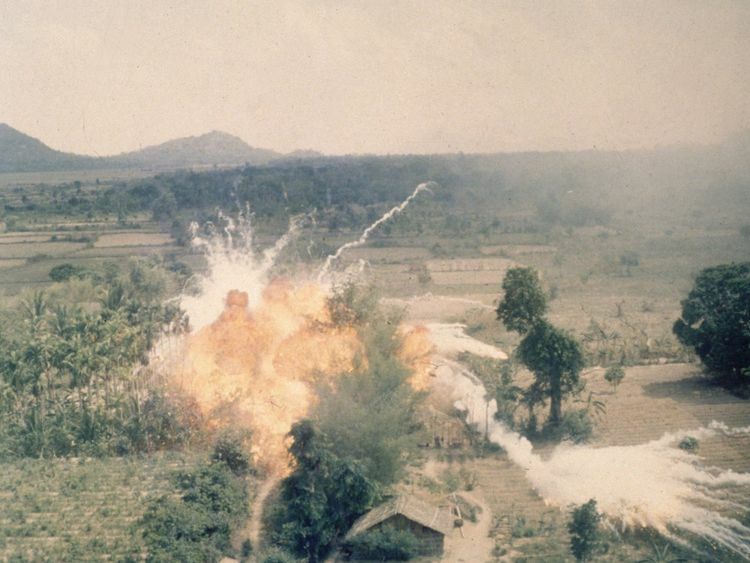 Towards the end of the Vietnam War in 1972, the US military deployed 11,000 sea mines south of Hai Phong in northern Vietnam to blockade naval supply routes which were vital to the Vietcong and the North Vietnamese Regular Army. However, on 4 August, a few months after these sea mines had been sewn throughout those waters – dozens of them apparently spontaneously and almost instantaneously detonated. The Carrington Event is believed to be the largest solar storm ever recorded which, in 1859, hit Earth. It left an aurora visible across the sky, even in latitudes much close to the equator, and was described in contemporary reports as even brighter than the light of a full moon. It caused the failure of telegraph systems all across Europe and North America, and a similar storm today could cause trillions of dollars in damage globally. The 1972 storm “fits the description of a Carrington‐class storm minus the low latitude aurora”, wrote the researchers. Two “significant” solar flares blasted out of the sun last year, one of which was the most powerful flare recorded since 2008. These space weather events have become an increasingly important topic of study for scientists as humanity depends more and more on electrical networks and on satellites which are very exposed to their radiation.